For someone who knows that such spaces are shrinking, the sight is a poignant reminder that all is not lost. The Indus is a mainstay of the Indian civilisation. For the people of Sindh especially, its mythical status penetrates each and every aspect of Sindhi life. The mention of River Indus, or Sindhu, goes as far back as we can go in recorded history. His roar is lifted upto heaven above the earth." It is on the banks of this mighty river that rishis and sages have spent endless time contemplating the secrets of life and the universe. Gradually, a cult of river worship developed in some of the areas where the Indus flows. The devotees personified their beliefs: Muslims would call him Khawaja Khizar, Zinda Pir, and Sheikh Tahir, while Hindus would evoke him by the names like Uderolal, Amar Lal, Uday Chand, and Jhulay Lal. 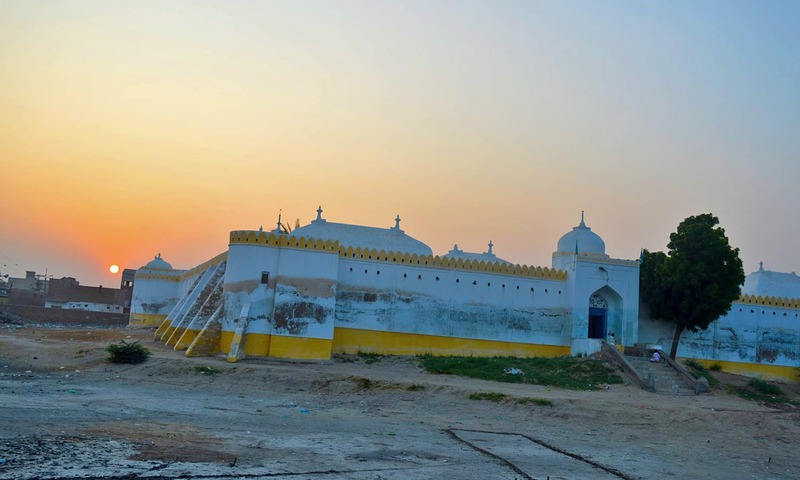 The people who follow the cult of river Indus are called Daryapanthis and their main centre is at Uderolal city, some 30km away from Hyderabad. The axis of the city is the shrine-temple complex; wherever you may go, it forms a skyline and reassuringly looms over the horizon. 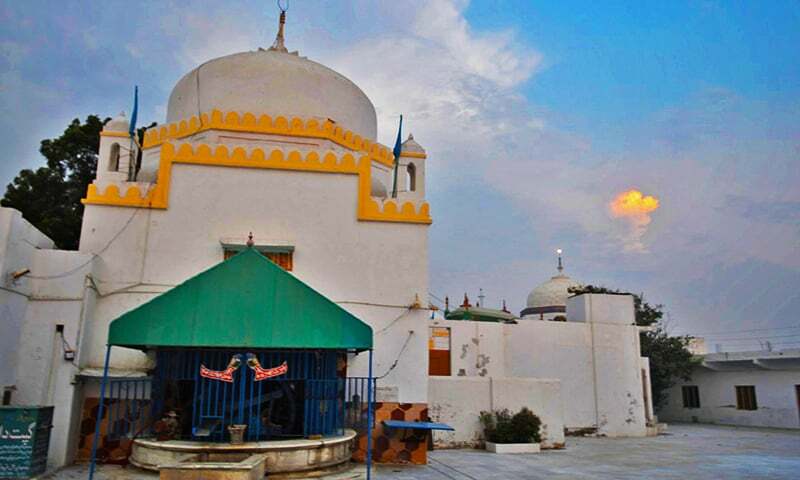 It embodies the spirit of Sindhudesh: the sharing of everything that is sacred, be it a Sufi shrine, a Sikh gurdwara, a Hindu temple, or a river deity. The shrine complex at Uderolal. The principle ritual is Chaiti Chand, which is both the birthday of Jhulay Lal and the celebration of the Hindu New Year. Chait is the first month of the Hindu calendar. It sets in when the winter has gone and spring has also come to an end but the hot, gusty winds have not yet arrived. It is the time when wheat is harvested and fields are being prepared for cotton or paddy crop in the south of Sindh. 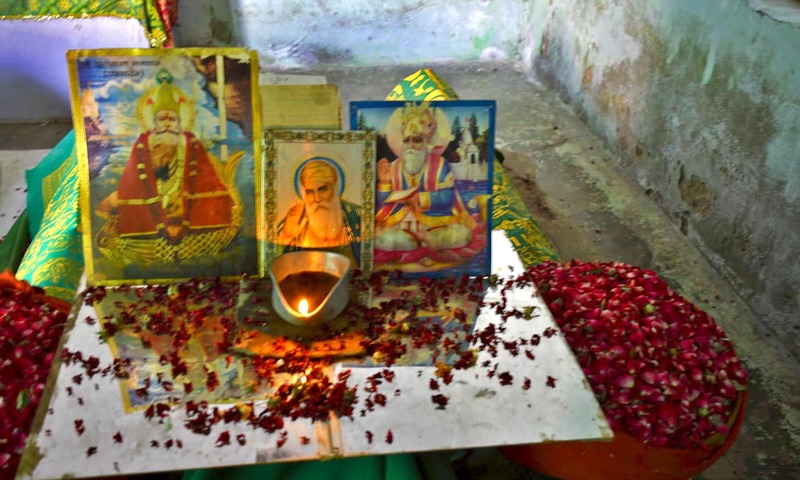 Even though most of Sindh's Hindus have migrated to India, Chaiti Chand is still celebrated with religious fervour and a growing spirit of community. 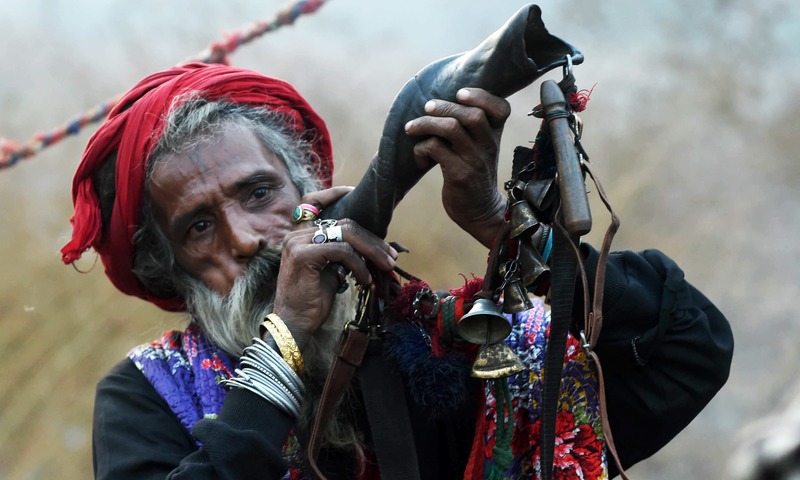 In fact, after Partition, when Sindhis in India became a de-territorialised community, Sindhi singer Ram Panjwani tried to bind them together in a sense of Sindhiyyat by projecting the image of Uderolal as the patron saint or Ishtdev of Sindhi Hindus. A candle is lit inside a room near the shrine. 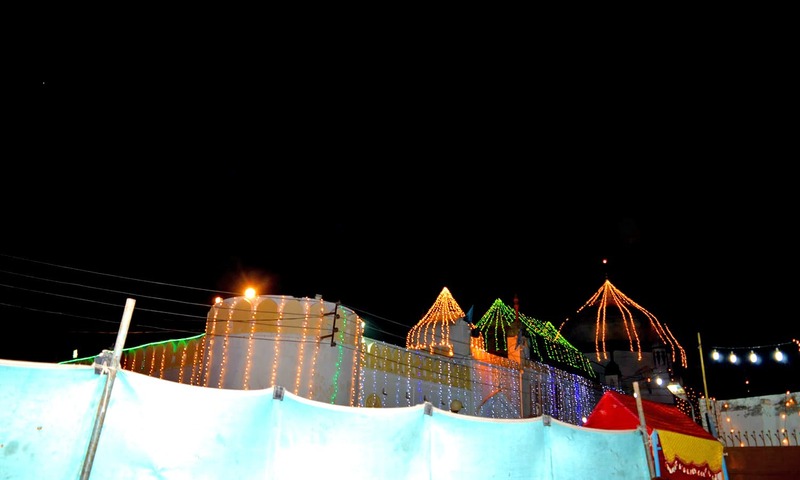 The main rituals commence in the evening and a stage is set for people to participate. The mela starts with jyot jagayan, or lighting the sacred lamp. The proceedings continue with a pooja just before sunset, performed at the sacred well of Balanbho sahib. Its water is believed to have healing properties. After the prayer, chhando is performed in which the water is sprinkled on the face. It is supposed to enlighten the spirit. An integral part of the mela is the behrano parwan karan, or floating the behrano. Behrano is a huge brass plate that is decorated with flour, sweets, dried fruits, lamps, and rose petals. It is an offering to the river and the Daryapanthis believe that fish and other aquatic organisms eat the behrano and bestow blessings upon the devotees. The Uderolal complex at night. 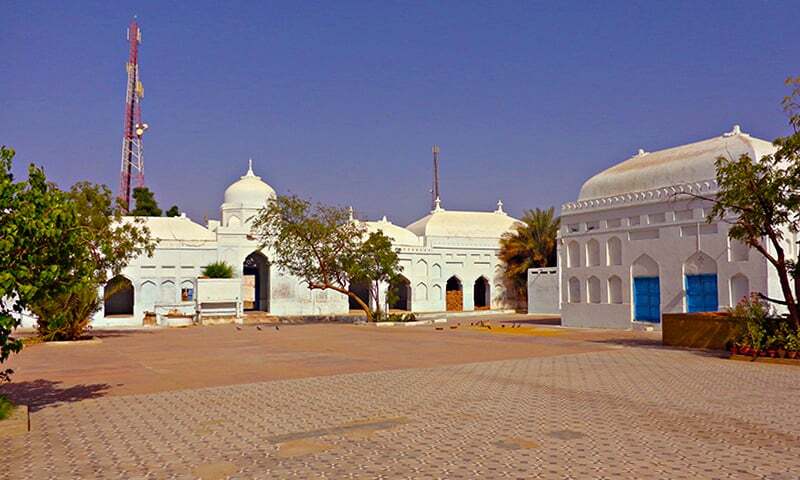 People bring the behrano to Uderolal from various cities like Mirpurkhas, Shahdadapur, Sanghar, Nawabshah, Sakrand and others. Traditionally, the behrano was floated into the Indus, but now it is offered to any water body or canal because whatever water there is in Sindh, it comes from the Indus. Another ritual that takes place during the mela is called pallao payan. It is when devotees hold the hems of their shirts or dupattas and pray to Uderolal to solve their problems and deliver them from the ordeals of the world. The proceedings end with the chhej dance performed by energetic men wielding dandia. The swaying movements resemble the waves of the Indus. The chhej starts with a low rhythm and gradually moves to a frantic pace. 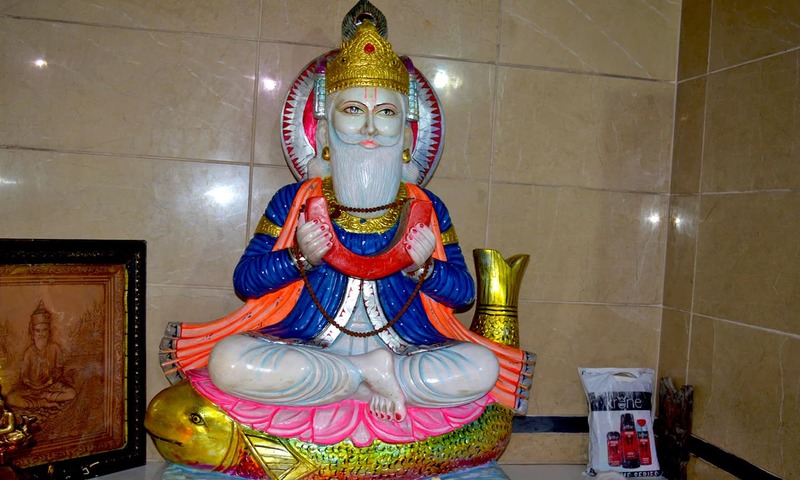 Jhulay Lal statue inside the Darya Lal temple in Karachi. It is followed by Jiay jhulay lal chants from the crowd. For someone who knows that spaces for such activities are shrinking, the sight is at once exhilarating and a poignant reminder that perhaps all is not lost – at least not yet. 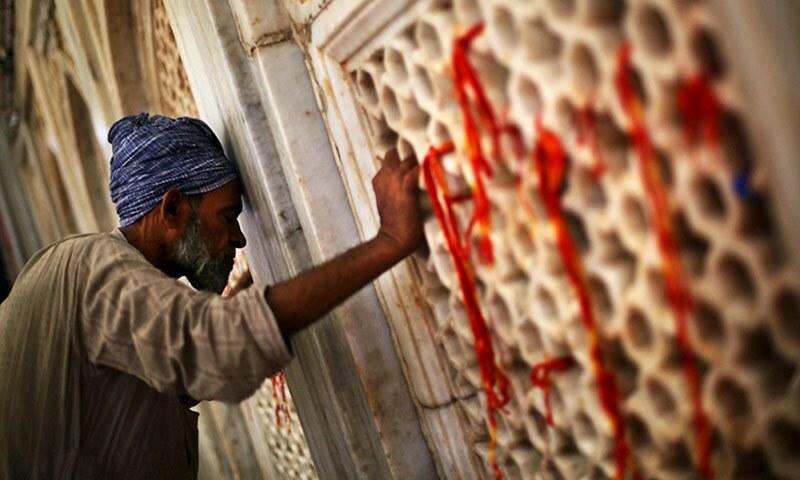 People offering their respects at the Udero Lal Dargah. The shrine complex at sunset. Nice and informative article. it shows the religious harmony of Sindh and they want peace and prosperity of Sindh. The Indian civilization, like many other contemporaries, is a riparian civilization, that developed along river banks. 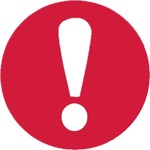 The month Chait is actually called Chaitra in most Indian languages including Sanskrit. It is essentially the Spring month before the hot summer months of Vishaka. Nice article exposing the secular tradition of Pakistan. The Indus River has been a pride of the sub-continent. Both the Hindu and Muslim communities honouring each other rituals and living peacefully and enjoying festivities reflect that secularism cannot be defeated by politicians or fanatics who see opportunity to create trouble. beauty of my Sindh. The land of Peace and Harmony!!!! Wonderful writeup. May peace and pluralism prevail in this part of the world as well ! I am from south of India and am always amazed by the roots we have in Pakistan...would love to visit and soak in the history but unfortunately we are divided by the politics and fanatics. The more we understand each other, the more we can co exist peacefully....and prosper together. All other countries like China, Russia, US, Arabs are outsiders - we are one, we have one history, our roots are same, we have more similarities than differences. The earlier we realize this, better for us...Kudus to the writer and Dawn for bringing out this beautiful article. Beautifully written. When I read about Hindu customs in Pakistan, I am filled with a sense of what could have been. We may not be able to be one country any more, but I hope we can be civil with each other. Nice article, and pictures of original jhulelal sai mandir are lovely. Would love to visit sind one day. Hope you continue your beautiful writing and insights in to our culture. Great to see Sindhis thriving in Pakistan as well. They play dandiya in pakistan its like famous dance from gujrat. This article is like an archive because after some time this color will also fade away with the decreasing population of Sindhi Hindus. 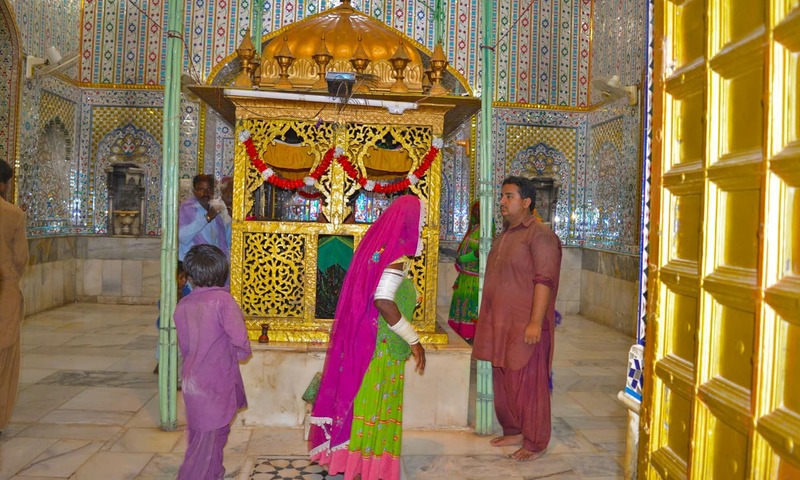 Thousand-years old Hindu culture and traditions quickly vanishing from Sindh, Pakistan. "Chaiti Chand" is celebrated as Hindu Lunar new year in the Indian states of Maharashtra, Andhra, Karnataka and Telengana. In these states it's a major festival like Deepavali. Highly refreshing to read about a historical truth narrated in a non-partisan purity thru' the 'Knower' within notwithstanding the apparent external differential denomination to which the learned author belongs. Happy Chaiti Chand to all my Sindhi Hindu brothers and sisters, inshallah one day I will try and join your celebrations. May god always keep you happy and prosperous. @M. Emad Same is true about 'Hindus' in Bangladesh! Just watching you celebrate gave my heart a warm and a happy feeling, for which you have my thanks and my blessings. I was a project engineer in Sindh and it was my first job. I did not chose Karachi, Lahore or Islamabad because there is something in interior Sindh that the other places do not offer. It is peace and immense spirituality. I made Hindu, Christian and Muslim friends. I was amazed by the beauty of how people can live so peacefully together in single villages. This can only happen in Sindh, the land of Sufis. Sindh is a 5000 year old living civilization. Hope Pakistanis are taught this in their history books, feel proud of their inheritance, and protect it for posterity and not let religious zealots destroy it. By providing safety and good infrastructure, Pakistan can attract millions of tourists. For ex, in Morocco the second biggest foreign exchange earner and contributor to GDP is tourism!,! I loved it .being a Hindu I wish to visit pak.I love Mahabharata many of the kings during that time were from sindhudesh,gandharvas and trigath .they all form present Pakistan . I appreciate the efforts of "Dawn" in helping both the people of Pakistan and India remember their roots. Keep it up. If we become friends one day, it will partly be due to the work of such publications. @D.K.PAMNANI -INDIA You will visit Your forefather's native one day. Sure. That's the beauty of my Sindh! It is the land of sufis and secularism. Quite worried that evil forces (from within & outside Pakistan) are hell-bent at destroying this culture of co-existence from Sindh just for their vested-intrests. Wish that Hindu Sindhis remain connected with Sindh and Sindhi culture! Very well written and beautiful pictures too. Thank you.. I commend Dawn for bringing and highlighting items of this kind. Pakistan still has large population of non-muslims and they too belong to this country. Their contributions and festivals should be recognized and promoted. As Dawn does constantly. When I think of Indus I think of Islamic Civilization. When I thing of the Ganga-Yamuna civilization I think of Hindu civilization. What has Gana-Yamuna civilization given us beside sari-dress and dhai-bhalla? Islamic Civilization gave South Asia architectures like domes and arches which did not exist before Muslims in South Asia, pajama-kurta, naan-bread, Mughal masala dishes, biryani, pilao, kebabs, poetry...even the sitar is a Muslim invention. @brr In Punjabi it is chait. Punjabi and Sindhi are very close to each other. @True Pakistani Thanks! Chaiti Chand will be celebrated on 29 March this year... It is also considered the Sindhi lunar new year. A number of other communities also celebrate their new year on this day - it is celebrated as Ugadi in Karnataka, Andhra Pradesh and Telangana, and as Gudi Padva in Maharashtra. Prior to partition, Sindh was a part of the Bombay Presidency, just like Gujarat - therefore, not surprising that the culture still remains the same. It is not a secret that our country's name is derived from Sindhu. How the Greeks wrote Sindhu with an H and britishers called it Hindu and Indus and people on the west of Sindhu as Hindus. This river is the mother. @Khwarizmi seems you are disillusioned sir!! Do read up on history. Kudos to dawn for such an amazing article. And great snaps and writeups by author. Love from India. Wish to visit pak one day! Just imagine if there was some semblance of normalcy between the two countries the kind of people to people contacts that could develop and the boost there could be in regional tourism. Ya, I know, wishful thinking. This is my culture. Unfortunately my family had to leave our beautiful land, but we continue these customs even today in India. What is the percentage of Hindus in Pakistan's total population now? @Khwarizmi really, which history book are you reading these days? Foreign destructive culture came to Bharat and destroyed native culture. So unfortunate. @Khwarizmi mate, your ignorance is appalling. Please read up on origins of sitar, surbahar, or tabla. Thanks dear, will inform you before coming. Proud of my Sindhu ancestors. Love to my Hindu community of Pakistan. Proud to have grown up together with my Hindu friends and family. Love, love and love to Hindus of Pakistan and the world. Sab ko khan ka Salam. Chaiti Chand sab ko mubarak bhadayaan! Jhulelaal, Jhulelaal, Jhulelaal!!! Dance, dance and dance till you can't no more love you all. @GURU Love :) Thanks brother. You are so right we are the same. Shanti to you. @Argumentative indian Please enlighten us what the Yamuna-Ganga civilization gave us Pakistanis? All the things I quoted were introduced by Muslims. What exactly makes you angry about it? Great Story sir which recognizes the great Sindhu culture. Hope Pakistani Muslims will also realize that they're the descendants of a great culture. Changing way of worship doesn't and shouldn't change culture.